Gold is very heavy. If you have a piece of rock that seems heavy when compared to its volume and there is evidence of a golden yellow, you may have gold. 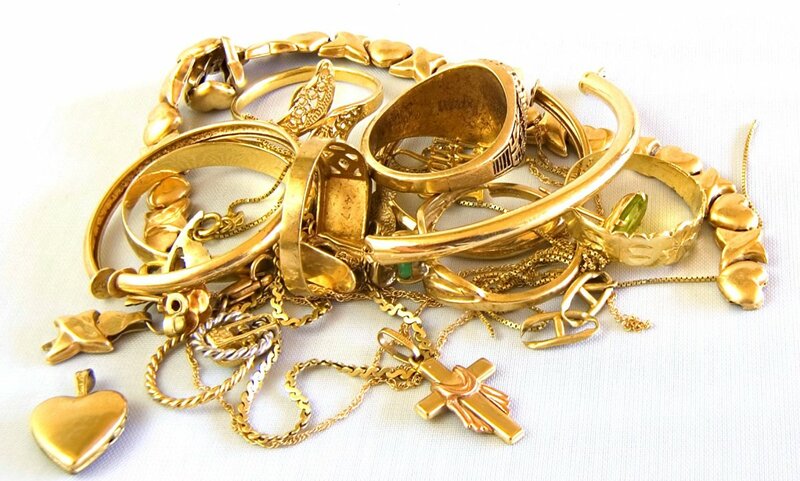 Gold is very soft and can be scratched easily. Using your finger nail or a hard implement can sometimes dent the surface. Gold ore combines with few elements. Because of this, it is found in nature in pure form, and to a limited extent in gold ores. The gold ores that exist produce a relatively small percent of discovered gold. Nagyagite, calaverite, sylvanite and krennerite are 4 examples of low yield gold ore. 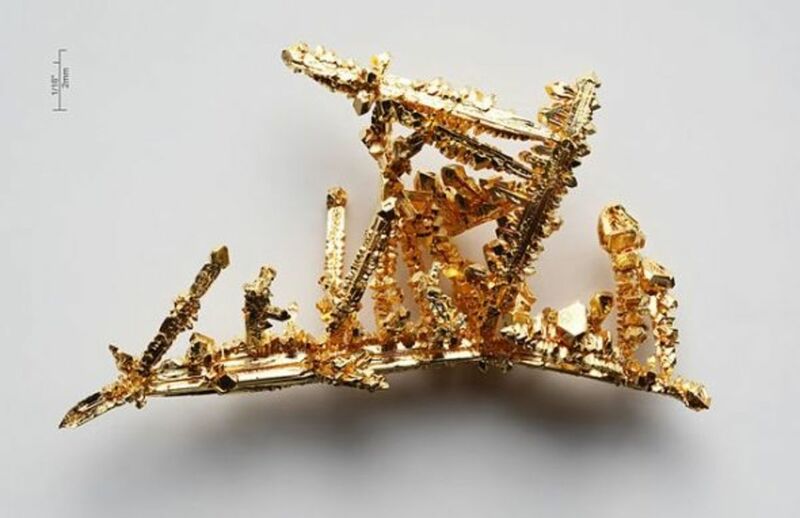 Since gold forms few compounds, it has been a characteristic that has contributed to its rarity. Learn about luster, streak, hardness, and cleavage, physical characteristics which may help identify gold ore prospects. So why learn about luster, streak, hardness, and cleavage? If you are reading this hub, you more than likely have an interest in learning about and/or finding gold. I do too. So if you stumble upon an abandoned mine, or start to take a miner's pick to a piece of rock with quartz streaks in it, how do you know, or have good reason to believe, the ore you have attained is a classic gold ore? You can use Mohs tests in the field to determine the ore characteristics and see if that jives with what the Mohs test has to say about gold ore. Though rather rare, gold does appear other than in pure nugget or string form. It can be mixed in with the minerals calaverite, kennerite and silverite. 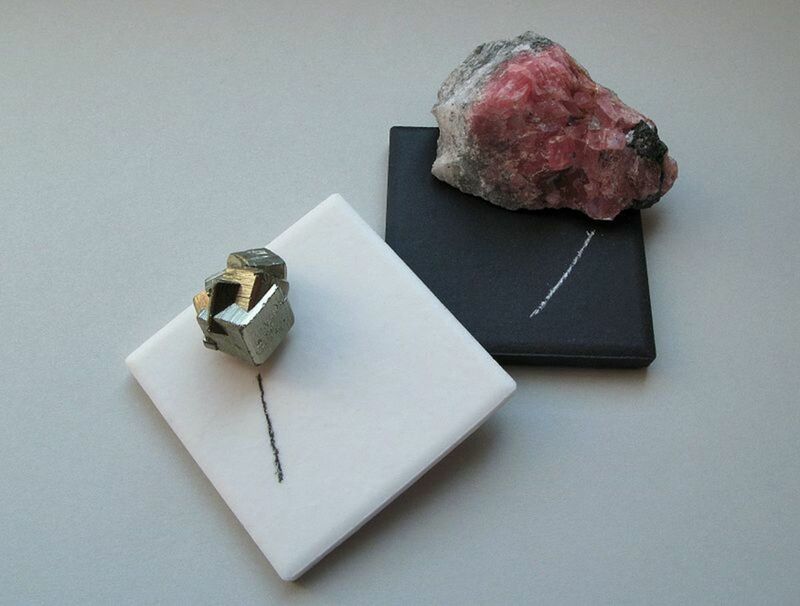 On Mohs Test Scale, calaverite has a hardness of 2.5 to 3. Cleavage is absent. Its luster is bright metallic. Its color is silver white to brass yellow, and its streak is yellow gray. Using various tools and minerals of KNOWN hardness, one can perform a scratch test. 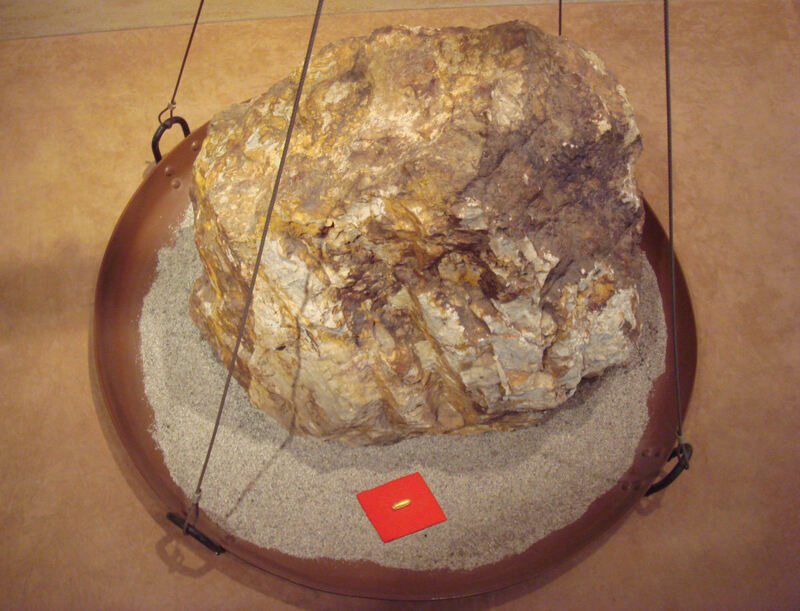 The first object or mineral to scratch the ore gives an approximate value for hardness. Scratching repeatedly over a white glazed tile with a pocket knife gives a measure of powder. When smeared, if it is calaverite, the streak should be, as mentioned above, yellow gray. In this manner many of the tests can be made that will give the prospector a better idea of what ore he has discovered. Carrying a handbook that identifies minerals helps also. 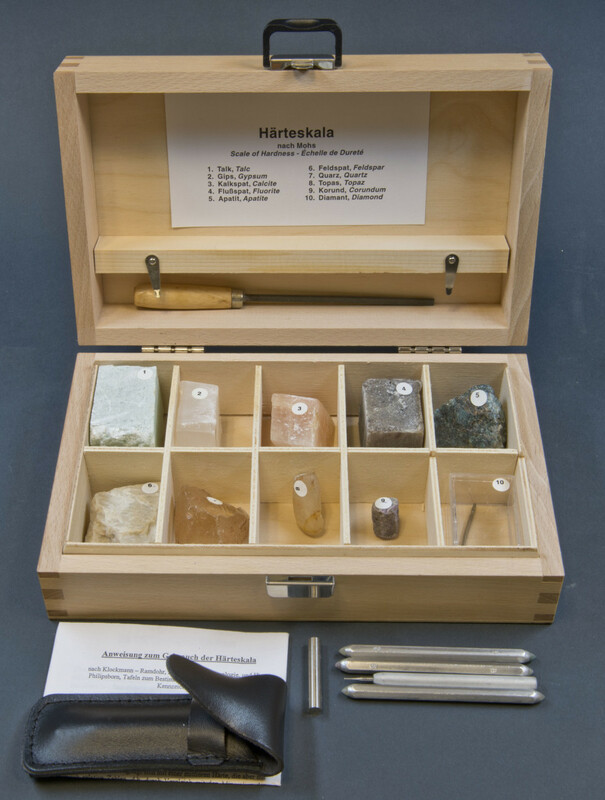 The Handbook of Rocks, Minerals, & Gemstones by Walter Schumann Dr. and R. Bradshaw is reasonably priced and thorough. 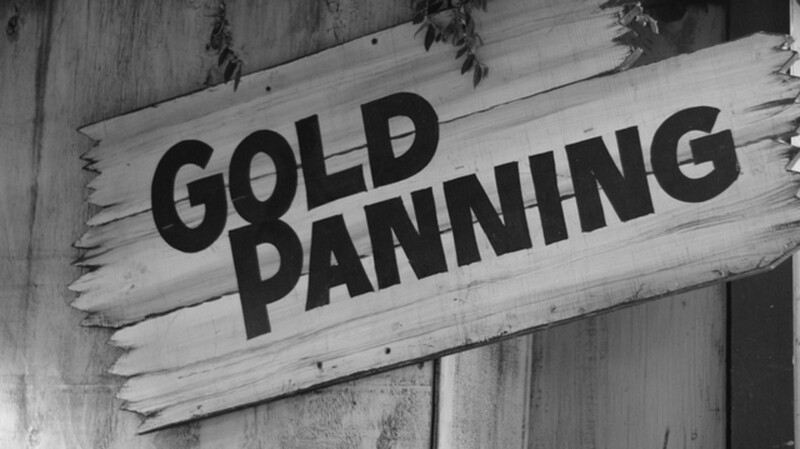 There is a lot to know when starting the hobby of gold prospecting. 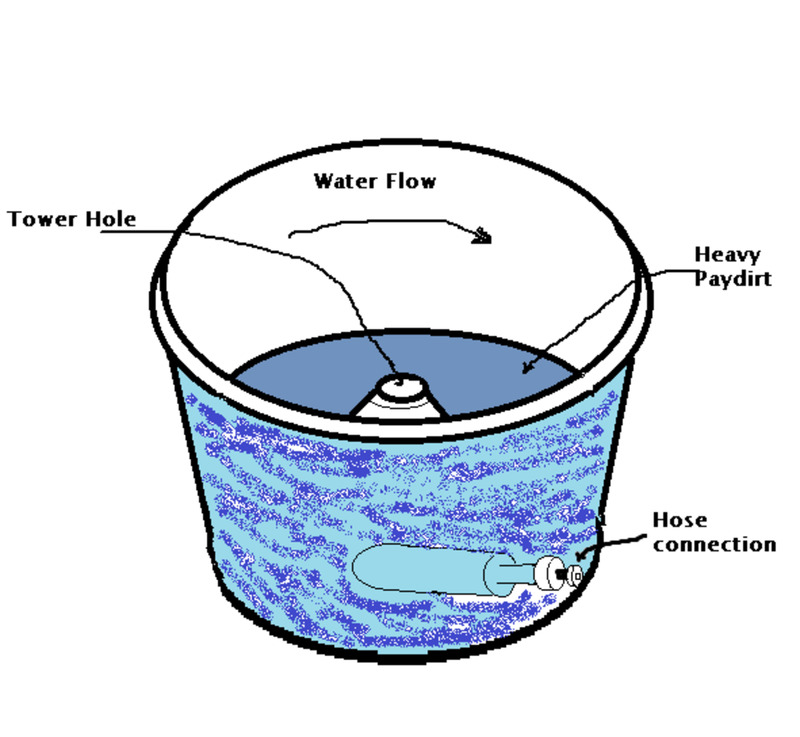 The prospective gold prospector needs to understand the tools peculiar to gold prospecting. One needs to understand how gold placer (alluvial gold) winds up where it is. One needs to know about hard rock mining. One needs to figure out where to go on a claim for the first time. One needs to know where gold has been found historically. One needs to understand his or her state laws and the federal mining laws regarding an individual recreational prospector. 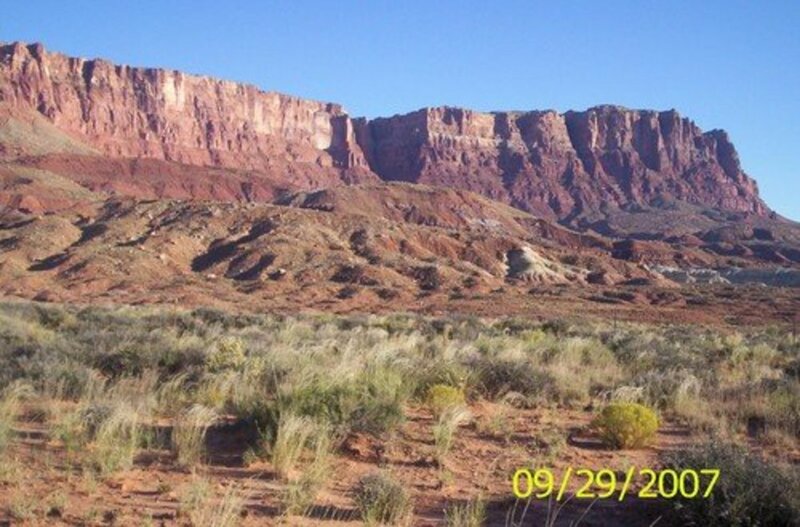 State geologic survey sites are a good source of information about gold mining. The U.S. Geologic Survey has maps of large gold mining areas. Streak plates are glazed white tiles so that a powdered mineral can be seen clearly. The streak contrasts with the white quite vividly. 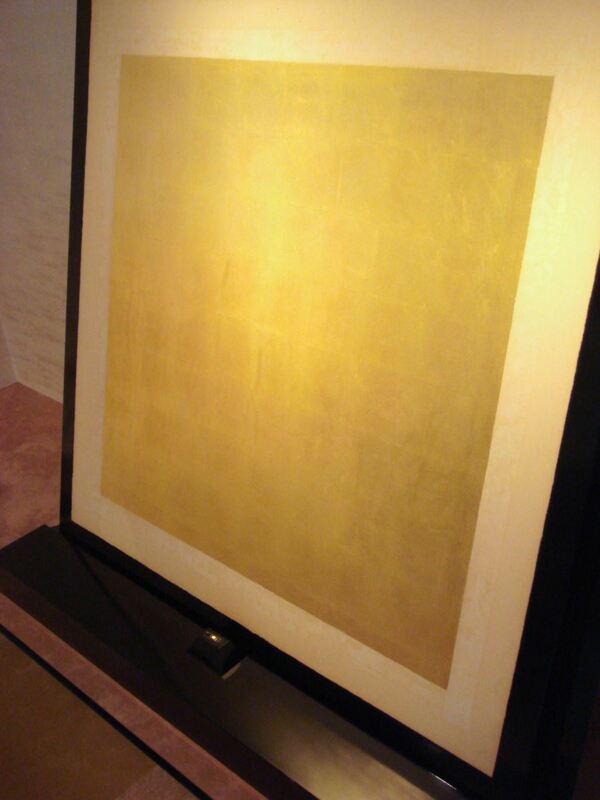 Rubbing a piece of gold across white unglazed porcelain tile will not leave a dark streak. If the streak is black it is not gold. Such a steak could indicate pyrite. Gold will reveal itself as a golden yellow. If you know you have a piece of gold, hold a magnet near it. If the piece is attracted, there are other metals causing the attraction. Pure gold is not magnetic. If you have a sample you believe is gold and it is not magnetic, it proves nothing. Copper, brass, and stainless steel are not magnetic, for example. I have found hand lenses for as little as $5. 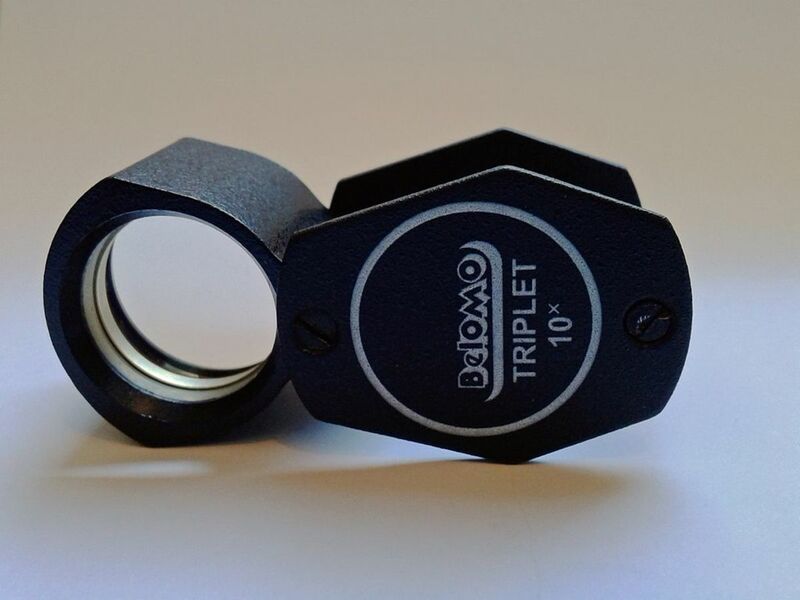 These loupes are 30 power, while some even have LED lights in them. They are lightweight and small, fitting comfortably in the pocket. Many are made with silver colored metal frames, but reflection of light off of these may interfere with identification. Others are black and made of plastic. Since all (as far as I know) extraction methods involve chemicals that can produce noxious and deadly gas vapor, there are articles that can lay out the procedures. Simply google "gold extraction". Remember to always wear a mask/ventilator if you wish to separate gold from ore (in its pure form) chemically. The building should also have good ventilation. Deferring to professionals when using chemicals may be the right decision. 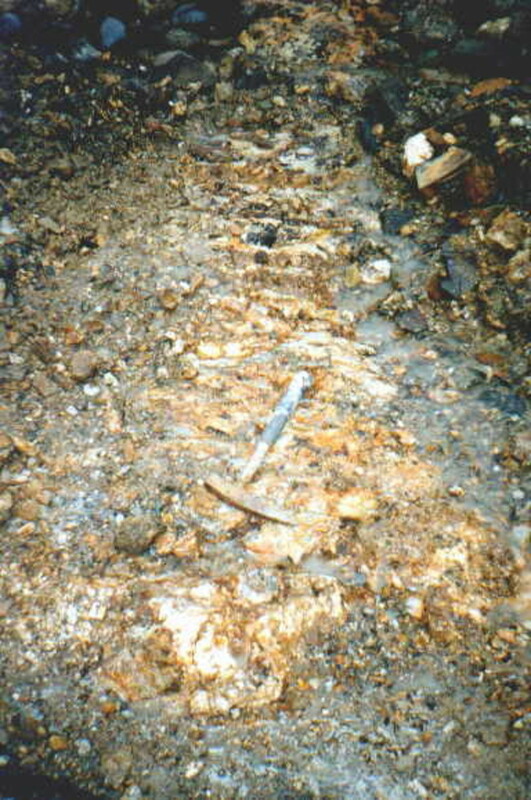 Finding gold may not be as simple as seeing a gold stringer in a quartz outcropping. 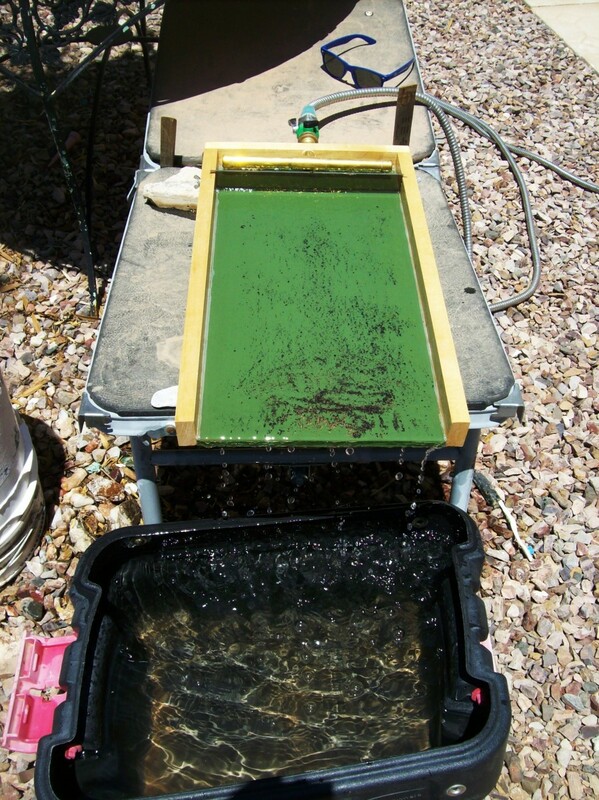 Sometimes gold is mixed in ore with manganese. Other times, it can be found in reddish rock, occurring due to iron oxide (rust), with lines of quartz. Another form of volcanic rock, basalt, can contain gold and quartz and varies from a dark black to grey. Yet other times it is in the form of placer, flakes that have washed down a mountain in some kind of water pathway. To increase your yield, you really need to get some basic equipment. I think I found a piece of gold. Where can I get it tested? The best thing to do is go to a certified jeweler. I have had gold tested with chemicals for free. You can also try to find a precious metal consultant. I go to a reputable pawn broker I have used for years. 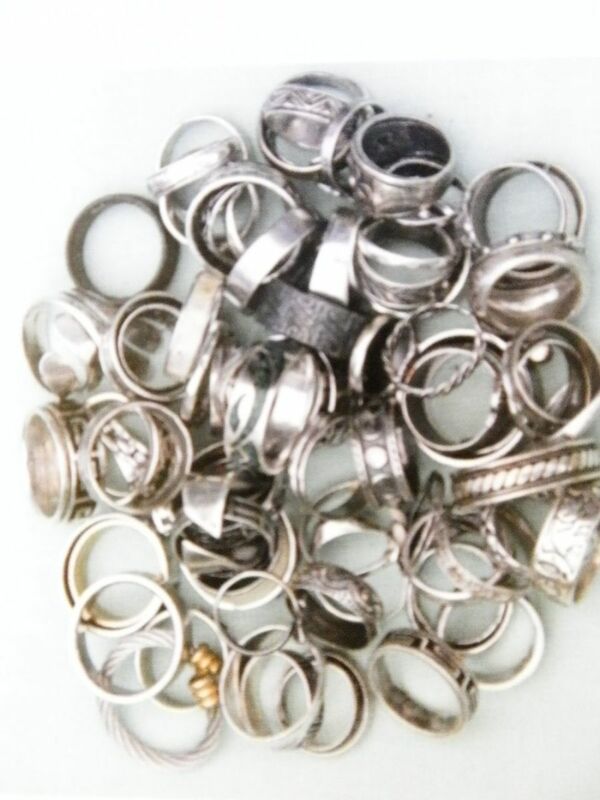 Most simple tests eliminate the possibility of other metals. At that point, you take your sample to an authority on gold. New Guestbook Comments - Feedback is Great! @TanoCalvenoa: Funny you should say. I once did the same in Columbia, California where there is a park where an old mining town existed. Thanks for the comment. This is a great lens. 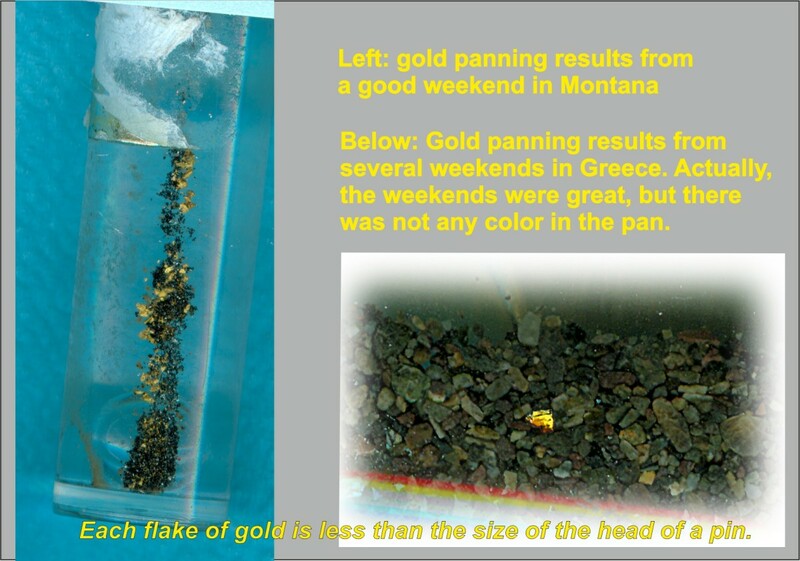 I love geology, and I have tried to pan for gold in streams. Only success I had was at Knott's Berry Farm amusement park where they intentionally put tiny flakes of gold in sand for you.